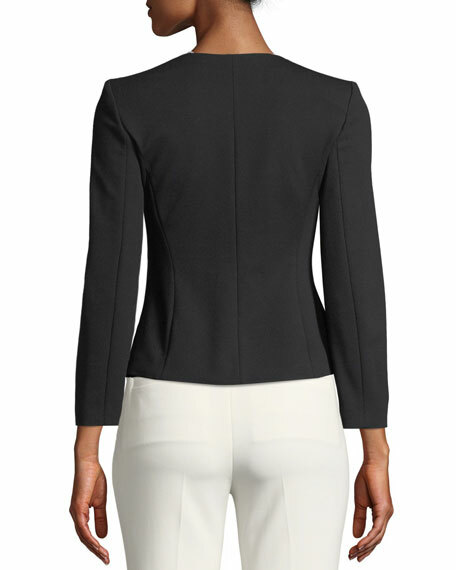 Emporio Armani jersey jacket with sunburst pleated sides. 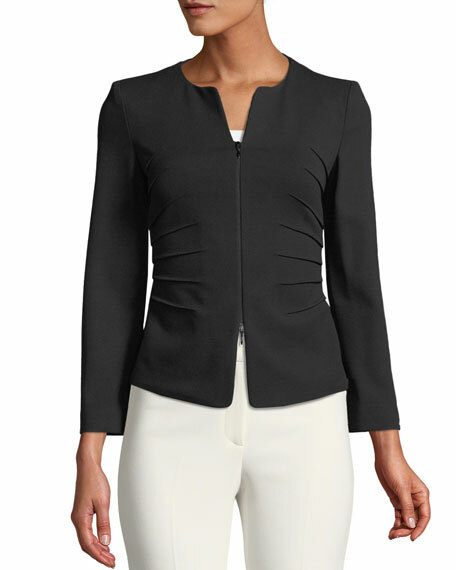 Round neckline; 2-way zip front. For in-store inquiries, use sku #2582401.